USPS is the largest delivery network in the US, and one of the most preferred ones. With a USPS account, you can do several things like print shipping labels, request for packages to be picked up, buy stamps, manage PO boxes, etc. Naturally, integrating USPS shipping to your WooCommerce store would make it much easier to handle the hassles of shipping. Here is an article that lists out some of the top WooCommerce USPS shipping plugins and their features. We hope after reading this article, you will have enough understanding to choose the best one for your WooCommerce store. Stamps.com provides a great option for small businesses and online store owners to print the official United States Postal Service stamps and shipping labels on their own. Now, if you are looking for a seamless option to integrate Stamps.com service to your WooCommerce store, this plugin can help. Basically, this plugin helps to completely automate USPS shipping in your store. It helps you display shipping rates on cart/checkout page, pay postage & print label from within WooCommerce, pack items automatically into boxes, and also facilitates tracking. This plugin helps to completely automate your WooCommerce USPS shipping. To display USPS postage rates from your Stamps.com account, this plugin uses parameters such as product weight, box dimensions, shipping destination etc. And, it is applicable for both domestic and international shipping services. You can choose to return the actual rates returned by Stamps.com, or use any of the discounted rates, if available. For international shipping, when different currencies are involved, this plugin offers an option to set a conversion value as well. Large range of services, including Priority Mail Express, USPS Critical Mail, Priority Mail Express International, etc. Generate and print shipping labels automatically after paying postage from your Stamps.com account’. Shipping tracking number added to the order notes to enable flawless tracking of your shipment. Built-in box packer for hassle-free packing. Easily modify the cost of a specific service from within the plugin settings. Stamps.com Account Manager to help you add funds to your account. Translation ready with complete support for WPML. The single site license for this plugin is $69. PS: ELEX (previously XAdapter) has a reputation of great after sales service, and is certified by Stamps.com as a trusted integrator. This is another option to integrate Stamps.com API into your WooCommerce store. You will be able to generate USPS shipping labels using this extension. However, you won’t be able to display USPS shipping rates on your Cart and Checkout page using this plugin. WooCommerce has another plugin dedicated for this. So, in effect, if you want to display rates and print shipping labels, you will have to purchase both premium extensions of WooCommerce. Thus, in comparison, the XAdapter plugin described above surely outweighs this one when you are looking for a cost-effective option. You will get special discounts on USPS shipping rates if you create your Stamps.com account as a WooCommerce customer. If you are not looking for cart display of USPS shipping rates, you can look further into this plugin. It offers a great integration with Stamps.com and allows to process refunds as well. In addition, you can easily manage your Stamps.com account with this plugin. More importantly, for WooCommerce customers, Stamps.com offers a special rate, which will actually cut your shipping costs considerably. This is made possible with a collaboration with Inuiship, who is a postage partner of USPS. The single site subscription of this WooCommerce extension starts at $79. ELEX (previously XAdapter) USPS Shipping plugin does everything you require for your WooCommerce USPS shipping management. You can display shipping rates in cart and checkout pages, a print label from within WooCommerce, pack items automatically into boxes and even enable tracking. However, you will have to purchase postage separately from USPS. The shipping label that you print using this plugin will have ‘Postage required’ marked on it. You will also find optional features such as post date request and email ship notification to the recipient. When it comes to real-time shipping rates, USPS is one of the most sensible choices. With this plugin, you can display rates of a range of domestic, international and flat rate services of USPS. In addition, you will get hassle-free box packing options, or you can choose to pack items individually. You can set the plugin to display all available rates or only the cheapest option. In addition, you can also use online or offline rates, and enable or disable Commercial rates. The plugin also helps you handle unpacked item rates, and display a predefined fallback rate in case USPS doesn’t return any rates. If you want to display USPS shipping rates on your WooCommerce store, you can use this plugin. It will display USPS shipping rates on the Cart and Checkout pages so that your customers get access to the largest delivery network in the United States. The extension would allow you to selectively enable or disable specific services in your store. In addition, you can edit the names of these services, or change the cost as well. The plugin also helps with box packing which lets you group items into packages. For each package, you can define height, width, length, weight, and max-weight. Packing is mainly volume based but also considers item size, and it won’t be completely accurate. And, as discussed above, if you want to print shipping labels, you will have to purchase an extension that has integration with Stamps.com account. This is another decent option to set up USPS live rates on your WooCommerce store. You will be able to display live USPS shipping rates on your WooCommerce Cart and Checkout pages. It will also update your order with the tracking information when the tracking number is added. The plugin also helps to modify the shipping cost of individual USPS service as per requirement. It also offers the ability to use shipment boxes in rates calculation. By default, this plugin has a bilingual option with English and French as languages, and it is ready for translation of files with ‘.po’ and ‘.mo’ extension. This plugin is an economical option to display live USPS shipping rates on your WooCommerce store. To use this plugin, you need to have an account with the USPS Web Tools Extension. You can signup for this free on the USPS website. This plugin also helps to incorporate live shipping rates on your WooCommerce store. It helps you with domestic as well as international delivery options. The plugin also comes with a tracking option, which will offer better clarity to your customers regarding the location of their package. Also, it has a decent box packing feature which will calculate which box to use for a certain package, after you add boxes. Moreover, you can change the default names of USPS services using this plugin. USPS is one of the top delivery options in the US, and they have specially designed services suitable for business customers. In fact, this gives you the choice to pick a suitable service considering the unique business scenario that you are encountering. Moreover, USPS has business-friendly services like ‘Free Saturday Delivery’ and ‘Surcharge Free Residential Delivery.’ And whenever, you need help, you will get it from the experts of USPS. Here is a quick look at some of the reasons why USPS is widely preferred as a delivery network. For eCommerce businesses big and small, shipping can be one of the major factors that determine success and cost-effectiveness. When you compare the rates of USPS with some of the other leading shipping carriers, you can find an advantage in most cases. USPS can give competitive rates for their services, as the sheer volume of shipments they handle on a day is huge. Moreover, you will find time-specific delivery options in Priority and Express Mail, which is, in most cases, better than its competitors’. USPS offers one of the most transparent pricing systems in the shipping industry. For example, when most of the other carriers levy a surcharge on Residential Delivery, there is no such cost with USPS. At the end of the day, you will have a better hold of your shipping expenses with USPS and WooCommerce. This way, USPS adds a lot of value to the shipping needs of businesses of all sizes and types. USPS offers a great range of services that ensure quicker delivery of shipments across the country. If you choose Priority and Express Mail to USPS, you can expect a pretty fast delivery. This is an important aspect for an eCommerce store owner, as faster delivery always promises better customer satisfaction. USPS offers the best flat rate shipping options for your shipments. Basically, when you are shipping heavier objects that takes only less space, USPS flat rate boxes can be of great advantage. Basically, the weight of the product won’t be considered to determine shipping charges and it can prove to be a cost-effective solution. You can reap the full benefits of USPS flat rate boxes if you have several heavy but small sized products in your store. Similar to the above scenario, if you are mostly shipping lightweight products, USPS can still be a better choice. When most of the other shipping carriers have dimensional weight pricing, this calculation applies only to USPS shipments more than one cubic foot. USPS offers PO box delivery, which is kind of an exclusive priority in the US. Other shipping carriers also offer PO box delivery, but it is actualized by a collaboration with USPS. Similarly, USPS is the only option when you want to deliver products to military addresses. USPS offers free pick up of packages from your address. This is applicable to a select range of products. However, if you want to schedule a pick up at a specific time window of your choice, you will have to pay extra. If the regular pick up option suits you, then it is a great way to save some money on pickup costs. You can find quite a few small businesses that save considerable amounts this way. For your commercial packages, you can get discounts based on the volume. However, all these commercial packages have minimum requirements. You can also use one of the approved shipping consolidators to avail volume discounts. In addition, these shipping consolidators help you to sort, pickup, and manifest your package. This way, you will have lesser hassles to calculate, document, and pay for postage. For services such Priority Mail, Priority Mail Express, and Priority Mail Express International, USPS offers free delivery of shipping supplies. However, you should note that this facility is available only domestically. USPS is one of the naturally preferred shipping solutions in the US. Apart from the large variety of services, they have exclusive options like PO box delivery. When you sell through your WooCommerce store, it is especially important to find a suitable option to integrate USPS services to your store. 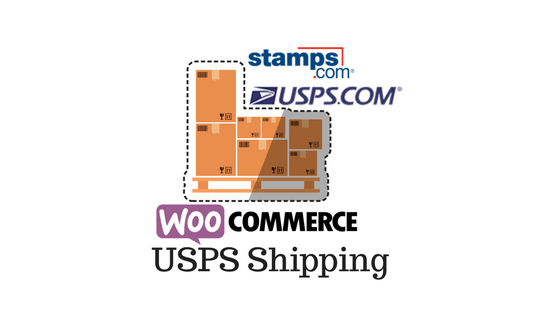 You will find several plugins that would help you integrate USPS shipping to your WooCommerce store. This article has presented a list of WooCommerce USPS shipping plugins that you can to equip your store with USPS services. To automate the payment of postage, you have to get a plugin that has Stamps.com integration. The XAdapter Stamps.com integration offers the most comprehensive features for a WooCommerce USPS plugin if you compare the above list. You also have a better idea why USPS is a better option for all the different shipping carriers in the US.